What is a 1440p monitor? WQHD is the next trend in monitor resolution. While there are 4K and UHD screens also available. WQHD monitors are set to become the next norm, replacing the FHD standard. WQHD is defined as 2560 x 1440P resolution for PC monitor Note that this is much higher than 1080P resolution of FHD screens. We all know that the higher resolution, the more real estate you have on your screen. Not only do the images looks much sharper, but you also get a lot of pixels to work on. 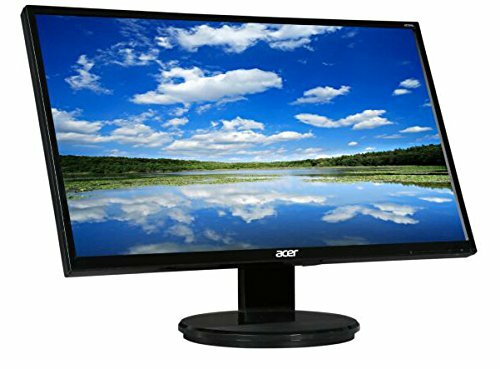 Providing good quality of pictures, and a widescreen, 1440p resolution monitors are now widely used in monitors ranging from professional to gaming monitors. Although monitors with 1440P resolution aren’t in the market, some people are not aware their benefits. If you are asking questions like what is so special about these monitors, then either you do not understand the advantages of higher resolution, or you do not have any need for such as a high resolution. Let us take a look at what best PC monitor with 1440p resolution monitors are. Based on a 16:9 aspect ratio, any monitor offering a resolution of 2560 x 1440 is called a 1440p monitor. Similarly, based on 21:9 aspect ratio, the monitor would have the resolution 3440 x 1440P. As compared to FHD (16:9), a WQHD resolution delivers it offers a resolution that is four times higher than HD. Many find this useful. Professional photographers, video editor, graphic designers always appreciate more resolution to work on. On the other hand, for gamers, the larger the resolution, the more crisp are the graphics. The downside of having many pixels is that you need an excellent PC to handle all that. For example, you need to have top of the line gaming computer if you want to play games on ultra settings on WQHD while maintaining a decent enough frame rate. Here are some of the monitors with 1440P resolution. These are general monitors. If you are looking for more specialized 1440P monitors, i.e., monitor for gaming or professional work, read on. If you are someone looking for a PC monitor with 1440P resolution that is super affordable, then you are in luck. It is hard to imagine how this monitor with WQHD resolution can be as cheap as some of the FHD monitors out there. No wonder this monitor has garnered so much praise from its customers since such a short time it has been in the market. This monitor is out there to show that yes WQHD monitors can become cheap. Cheap enough that everybody can afford them, even those who do not do anything but surf the internet. The beautify of this monitor does not just stop there. For such an affordable price tag, it even offers 99% coverage of sRGB color gamut. If this not the one of the best deals of the year, I don’t know what is. Some of the drawbacks of this monitor include backlight bleeding. In all honestly, the backlight issue, which is commonly referred to as IPS Glow, has to do with the panel type. Almost all IPS panels, even the high-end ones, have the issue of IPS glow. This is a very high-end gaming monitor with 1440P resolution. 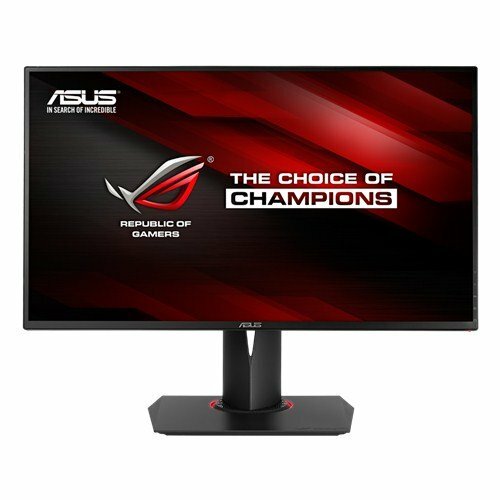 It is one of the few monitors in the market that offers 144 Hz on an IPS panel. You may have seen 144 Hz on TN panel monitors commonly, but to be offered on IPS panel is quite the achievement. This monitor is as gamer-centric as it can get. You get all the gaming-related technologies such as NVIDIA G-Sync and a pretty fast response time. Unfortunately, this is a pretty expensive monitor as well. This is quite expected as the features of this monitor are not so easily available in the market. Plus the technologies on this monitor are relatively new in the market. 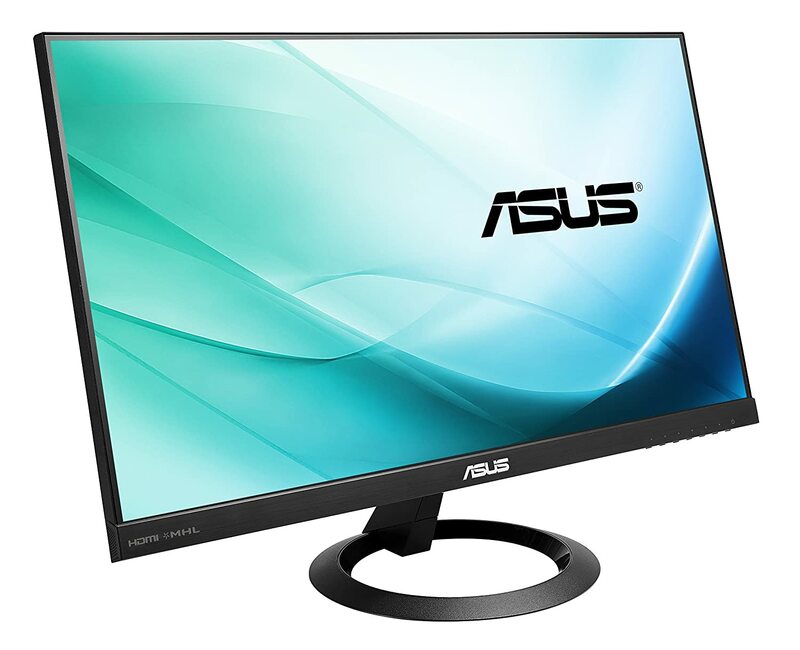 This is yet another gaming grade monitor, and it hails from one of the leading gaming brands in the market: ASUS ROG. The benefit of this screen is evident. 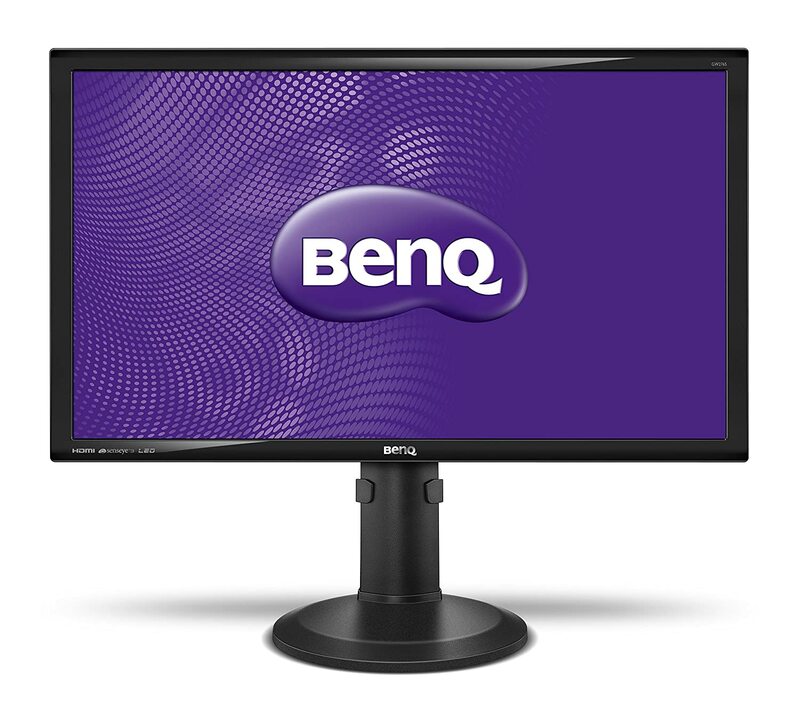 This monitor offers the fastest possible response time of 1 ms that too on a WQHD monitor. Furthermore, this monitor has 144 Hz refresh as well as NVIDIA G-Sync technology to reduce the screen tearing and stuttering effect. This is hands down one of the best PC monitor with 1440p resolution for gaming. This is a relatively low priced all-rounder monitor. You really can’t go wrong with this purchase. At the time of writing this review, this monitor has gathered a very positive response from its customers with nearly 4.5/5 stars. This is near to perfection. If you are looking for a sturdy 1440P monitor that you can use in your office or work, then this is the monitor to go for. This monitor also offers speakers, which is a pretty decent feature for offices. This isn’t entirely a gaming monitor, but it has all the necessary features that gamer on a tight budget would find useful such a fast response time and extensive connectivity options. 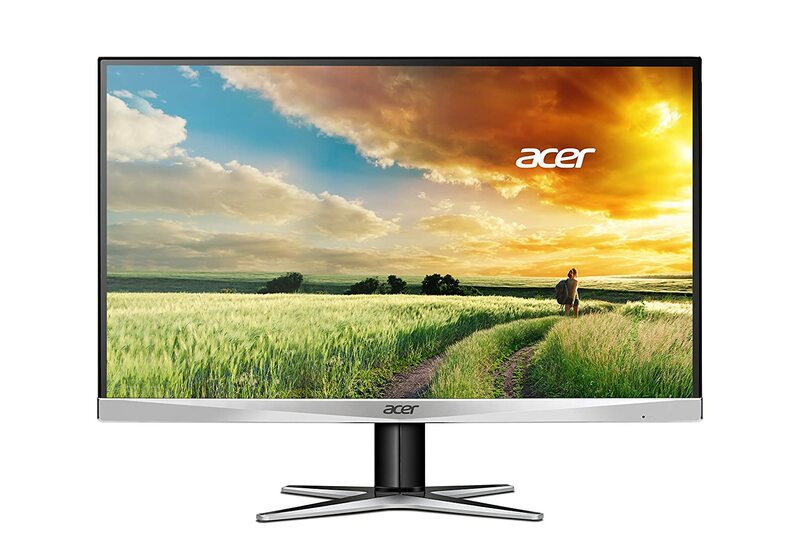 With a 27 inch screen, Acer K272HUL is a decent monitor to have if you are looking for a bear minimum. This monitor offers AHVA panel, so do not expect the quality of the colors to be as good as the IPS panel monitors. Albeit, it is very similar in technology to the IPS panel. When it comes to connectivity options, it has DVI, HDMI and DisplayPort inputs. This isn’t a bad combination at all. This monitor offers other goodies like speakers as well as VESA mounting holes. So if you are looking for a cheap way to make a video wall out of WQHD monitors, then you can consider having this monitor. Most of the people looking for 1440P resolution would be of two kinds, enthusiasts/gamers, and professionals. 1440P is designed to cater to these two demographics. Gamers are always at the forefront of trying out the latest in display technology. They have the money and the interest to spend on technology that is light years away from appearing in the budget category. 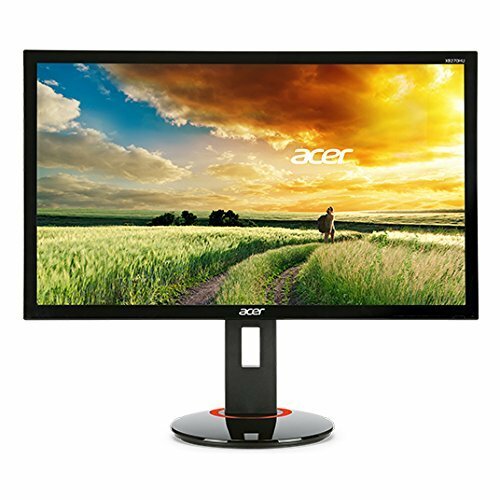 For that reason if you are specifically here looking for gaming monitors with 1440P resolution then you need to check out the page below. Similarly, if you are someone who appreciates larger work area or the real estate that you get with more pixels, then you will appreciate these monitors. Most of these monitors are high end monitors, therefore you can expect from them to have other features such as 99% sRGB coverage and more color depth etc. 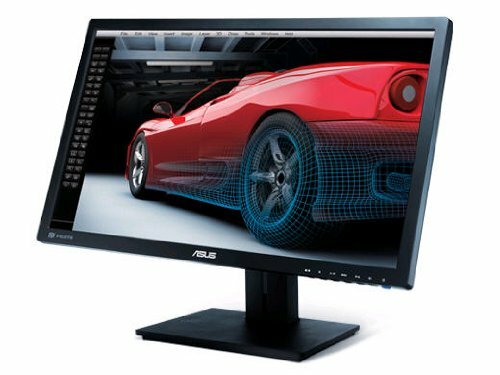 These monitors are ideal for graphic designing, photo editing or photography. Learn more about these monitors here. The following are some of the highlights of the monitors with 1440P resolution. If you are not a fan of reading, watch this video. With 108.79 pixels per inch, 1440p resolution monitor offers good quality of images and the precise level of text as compared to the Full HD monitors. This quality in images and the deliverance of clarity in the text makes 1440p resolution monitor better than a Full HD monitor. Considering the facts, the WQHD monitor represents 3,686,400 pixels whereas the full HD monitor delivers 2,073,600. Potentially, the 1440p resolution with its large screen facilitates the user with a much larger area to work on. This can enhance the experience significantly. One of the advantages offered by WQHD monitor is the real estate. When we you compare two monitors, one with a resolution of 1920 x 1080 and the other with 1440p resolution, you will observe the difference WQHD provides in terms of productivity. It can accommodate more screen. You can view much the pages of your document in a much larger view. These are just some of the benefits that one can instantly observe. Another advantage of 1440p resolution monitors is that one gets to have more space to accommodate windows side by side as compared to full HD monitor. You can have a lot more information displayed at the same time on the screen as compared to HD or FHD monitors. The 1440p resolution monitor gives you an experience of working with two or more windows without getting your data too restricted. We always advocate on getting a 1440p monitor if you are getting a larger than 24-inch display. Although many people get 1440P resolution on 24-inch displays, even FHD can be adequate for them. For 27 inch monitors or higher, if you want to enjoy the benefit of the larger screen it is better to invest in a monitor with higher resolution. Your work will become more productive and your gaming more immersive. However, the only issue here is that PC monitor with 1440P on 27 inches is expensive. However, they are future proof. It is expected that FHD will be replaced by WQHD displays as the technology becomes more accessible and cheaper. 1440P or WQHD resolution is the new norm for enthusiasts. It can be predicted that in the near future, WQHD will replace FHD in screen sizes from 27 inches and beyond as the standard resolution. PC monitors with 1440P currently are expensive, but they have a lot of benefits. Most of these monitors are high-end monitors, so they offer amazing colors and other excellent features. One of the greatest benefits of a 1440P screen is that it gives you a lot more real estate as compared to FHD monitor. As a result, you can multitask efficiently. Gaming on 1440P monitors is equally as fun; however, make sure your computer can support gaming on such a high resolution. We usually recommend and encourage customers to invest in WQHD resolution for monitors that are 27 inches or beyond. FHD is still quite suitable for screens that are 24 inches or below.